Previous Post Some of The Best of 2008… Now Bring on ’09!! 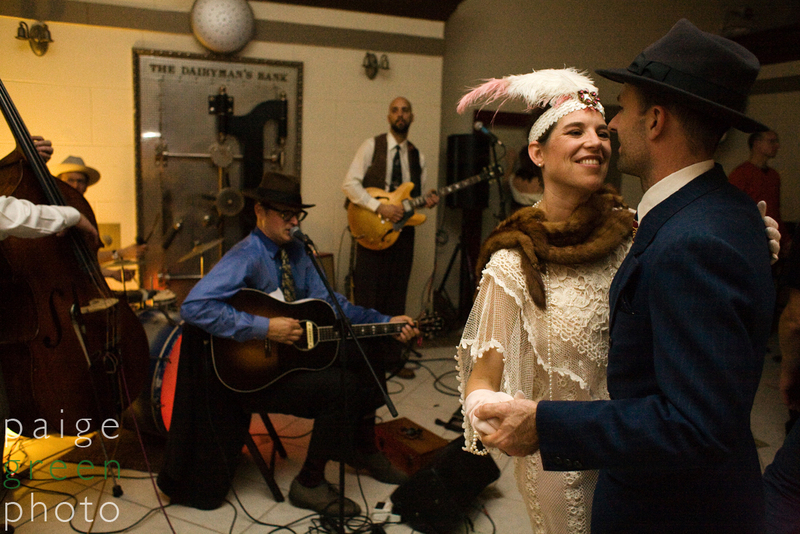 The Green String Farm Band played at Rocker Oysterfeller’s Speakeasy in Valley Ford on New Year’s Eve. 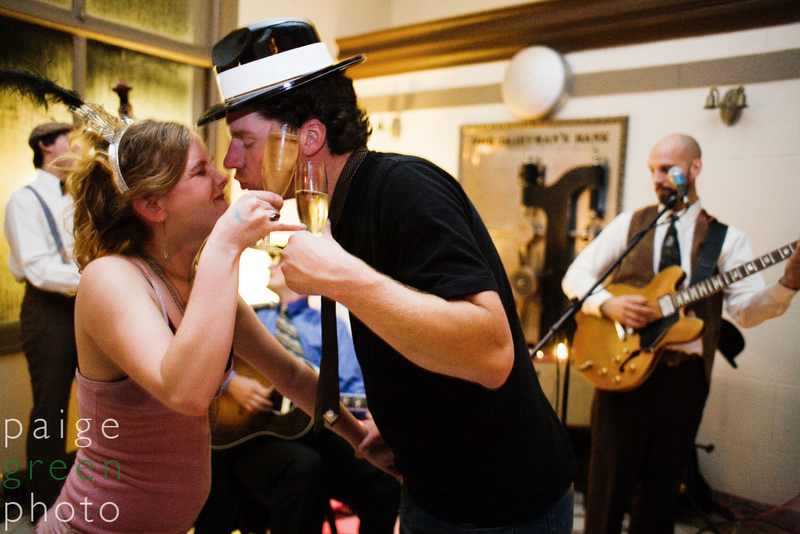 It was an amazing occasion complete with a four-course prohibition era dinner, consisting of classic dishes from the 1920’s and 1930’s created with locally produced ingredients. The costumes were amazing and when combined with the atmosphere inside the historic Dairyman’s Bank (1890), it was easy to forget what year we were bringing in with our celebrations. If you ever are in need of a fun place to go for dinner, and you are up for an adventure, then you should check out Rocker Oysterfeller’s. The food is phenomenal and they are continously trying new theme nights that make the occasion worth the drive. And as an extra bonus, you can find Arann Harris singing it up out there every Thursday night in 2009.